In 2013 Philomena Begley has been celebrating her 50th Anniversary in the world of show business. 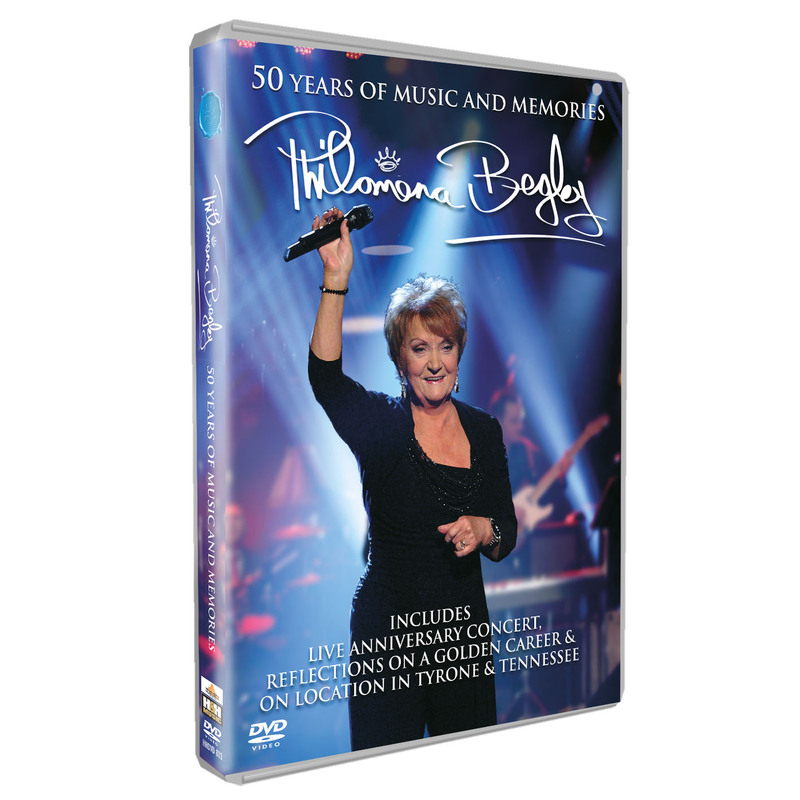 H&H Music proudly join the celebrations with this new DVD release: 50 Years Of Music & Memories, Philomena’s second only DVD release. The 86 minute Hi Resolution program features her anniversary concert at Opry an lúir. Special guests include Daniel O’Donnell, Ray Lynam, Aidan Quinn and Voice winner Andrea Begley. The concert, broadcast on Ireland’s language broadcast channel TG4 and the BBC was received with great acclaim. Included are five extra songs from the show that were not included in the broadcast. Also Philomena reminisces about her career and celebrates her anniversary with appearances in Tyrone, Tennessee and Spain. Plus a special extra feature are two extra video clips from her new album “How I Love Those Old Songs”.